Shiromani Akali Dal today asked Punjab Congress chief Capt. Amarinder Singh to tell Punjabis why he became a party to scripting a black chapter in Punjab's history by supporting Indira Gandhi's decision to build the SYL canal. In a statement the SAD secretary general S. Sukhdev Singh Dhindsa said "you are among the pack of Punjab Congress leaders who betrayed the interest of their State by welcoming the move to build the SYL canal through advertisements and even participated in its inaugural ceremony". Mr Dhindsa said in the light of this betrayal it did not behove Amarinder to cry crocodile tears on the issue of the SYL canal. 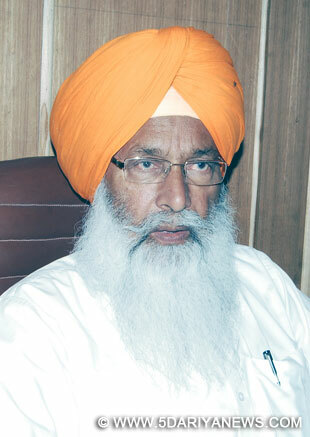 Stating that he could not wash his sins by resorting to cheap politics , the SAD leader said Amarinder should first tell Punjabis why he sided with a decision which robbed Punjab of its legitimate share in river waters in defiance of internationally accepted Riparian principles.Making his party’s stand clear on the SYL canal issue, S. Dhindsa said the Shiromani Akali Dal would never allow the anti-Punjab forces to become successful in their nefarious designs to rob Punjab of its river waters. He said it was chief minister Parkash Singh Badal who had foiled such attempts by unanimously passing a resolution to award the land acquired for the canal back to the farmers. He said this was not all. "SAD is ready to make any sacrifice to safeguard the legitimate share of river waters of the state and will never allow construction of the SYL canal as it was clear in its mind that Punjab did not have any excess water to spare".